Taj Hotels Palaces Resorts Safaris and Tata Institute of Social Sciences’ School of Vocational Education, brings the Golden Threshold Programme which will offer hospitality training to students in the age group of 17-21 years, with a focus on rendering job-specific skills. Taj believes in vocational skilling and has trained about 4,000 people in hospitality over the last six years via Taj’s Skill Certification Centres. Taj, a global hospitality brand, and TISS will train students to meet the growing demand for skilled professionals in India’s growing hospitality industry. With the aggregate lodging requirement in India being almost 1.4 million beds each night, the sector has a potential to create six million jobs. While TISS has designed the syllabus, experienced professionals from the Taj will conduct the job-based skill training. Students will be reviewed at regular intervals through practical assessments and performance appraisals. Students will receive a Diploma on successful completion of one year, a higher Diploma on successful completion of two years. On completion of three years, students will obtain a Bachelor of Vocation in Hotel Management (B.Voc) degree. This degree has the approval of University Grants Commission (UGC), All India Council for Technical Education (AICTE) and the Ministry of HRD, Government of India. Taj hotels will provide scholarships to all students. The classes will be held at TISS centres. 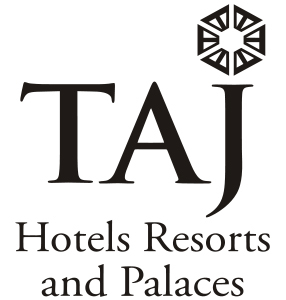 On-the-job training will be conducted at Taj hotels in Mumbai, Delhi, Bengaluru, and Kolkata.